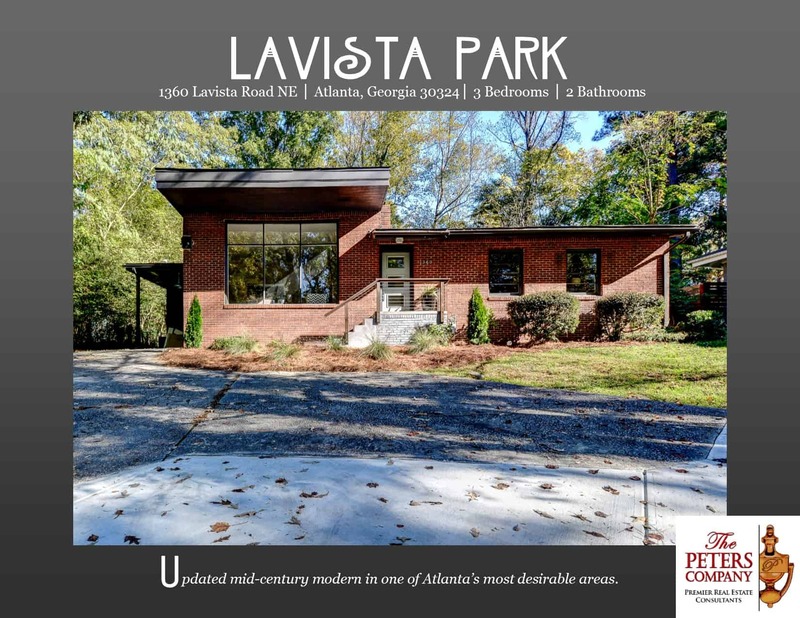 Just Listed :: Renovated Mid-Century Modern in Lavista Park! Just what you’ve been looking for! This home nestled in Lavista Park is waiting for you! Originally built in 1950, this great home takes what’s old, restores it, and makes it so much better thanks to a recent renovation. Its flowing floor plan, custom features, and charming character will never go out of style. The close proximity to I-85, I-75, and GA400 makes it convenient to and from any direction. Being in this booming area of unincorporated Dekalb County also means you get to live as close to the city as you can without the escalating tax bills associated with Fulton County and the City of Atlanta. You’ll enjoy being only minutes from many restaurants and shopping spots too! Many thoughtful touches and custom features throughout. Kitchen features new stainless steel appliances and convenient breakfast bar. A wall of windows pours sunlight into the large living room complete with wood burning fireplace and rustic rough cut mantle. Master bedroom has spacious closet and an updated bath. Built-ins in the hall and bathrooms provide plenty of extra storage. A huge backyard boasts a patio and out building with power. Deep lot with long driveway provides nice privacy. ← Just Listed :: Charming Contemporary in Ashford Park!